Home » Flora of Kazakhstan. Flowers of Kazakhstan. Phototours by flowers of Kazakhstan. Botanical tour to Altyn-Emel national park. Michael Pollan, The Botany of Desire. “ A Plant's-Eye View of the World”. Cistanche salsa in Altyn-Emel national park. 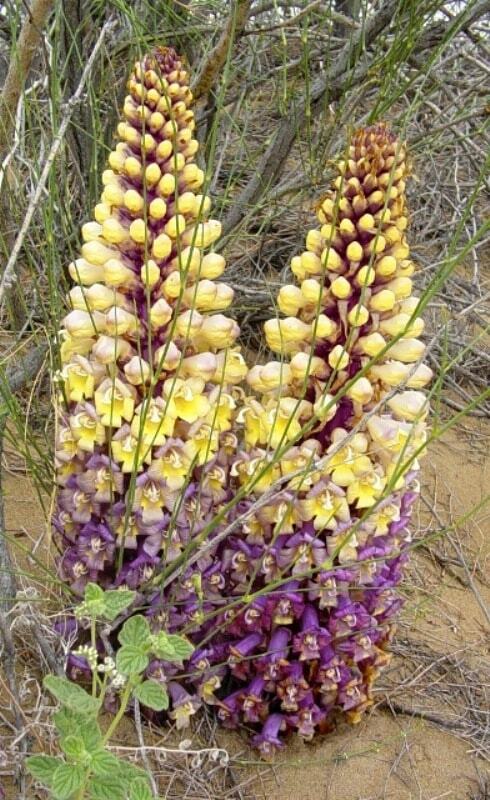 Cistanche is a worldwide genus of holoparasitic desert plants in the family Orobanchaceae. They lack chlorophyll and obtain nutrients and water from the host plants whose roots they parasitize. Cistanche salsa doubtful (Cistanche salsa, Cistanche flava, Cistanche ambigua) - a sort of plants of family - Orobanchaceae Vent. A sort area - the desert, semidesertic and steppe regions of Asia, Kazakhstan (The Almaty, Karaganda, Mangystau regions). Along with other members of the genus, Cistanche deserticola is the primary source of the Chinese herbal medicine cistanche. The main sources of cistanche are Cistanche salsa and Cistanche deserticola, although it may also be obtained from Cistanche tubulosa, Cistanche sinensis, and Cistanche ambigua. The drug, known in Chinese as suosuo dayun, is collected in spring before sprouting, by slicing the stems of the plant. Cistanche deserticola has been placed on Cites Appendix 2, a list of endangered species not banned from trade but requiring monitoring. With increased consumption of cistanche, the population of the species has decreased and its area of distribution has shrunk. Aside from over-collection or indiscriminate collection, an important factor in the diminished supply of cistanche is a loss of the saxaul host, Haloxylon ammodendron, which is widely used for firewood. Cistanche has been used as a medicine for about 1800 years and is recorded in the Shennong Bencao Jing and Bencao Gangmu as a tonic. Most of the medicinal claims have never been evaluated through clinical testing, and those claims that have been examined under controlled medical study are not supported. Growing in arid climates, cistanche is a parasitic plant that connects to the conductive system of a host, extracting water and nutrients from the roots of the host plant. 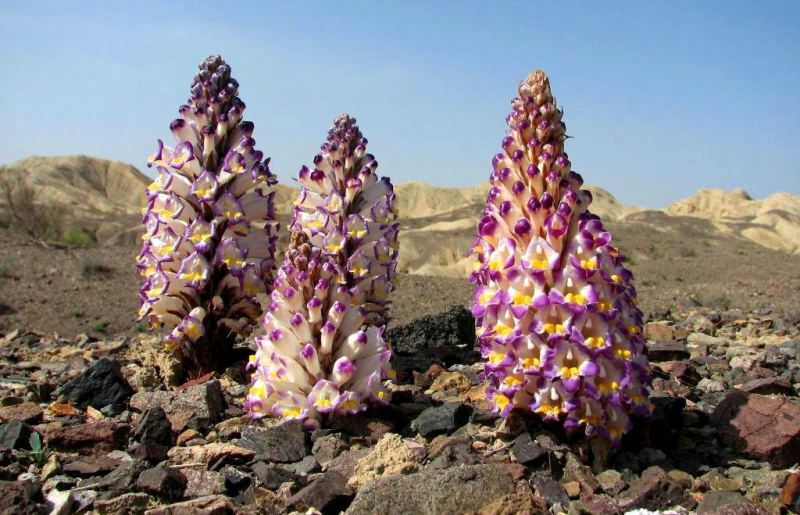 Cistanche is native to the Taklimakan desert region of Xinjiang Uyghur Autonomous Region northwest China where it grows on host desert plants tamarix and haloxylon ammodendron. Perennial grassy plants with the thick not branchy stalk covered next chaff. Flowers are collected in brushes. Plants of this sort parasitize on roots of bushes and bushes. Do not develop a chlorophyll; nutrients and water are taken from plant owner roots. A number of types to a Cistanche salsa apply in traditional Chinese medicine, in traditional medicine of the countries of Central Asia. According to the The Plant List database, the sort includes 27 types. Cistanche salsa - a perennial plant, more or less hairy, 10 - 40 cm high. The stalk is thick, in a middle part 5 - 20 mm thick, seated chaff. The inflorescence is short cylindrical, sometimes strongly shortened, 5 - 25 cm long, 5 - 8 cm wide, dense. Flowers sedentary or almost sedentary, a nimbus 25 - 35 mm long, rather stupid kolokolchaty, poorly forward bent, with a light yellow tube and a violet bend. The box reveals two, more rare three shutters. Blossoms in April-May. Medicinal properties and application. Cistanche salsa is effective at the inflammatory phenomena of urinogenital bodies (nephrites, pyelonephritises, cystitis and so forth), possesses diuretic and anti-inflammatory action, positively influences function of kidneys, urinary tract. It is applied at impotence, infertility, the general weakness with pains in a waist and knees, a lock. At local application normalizes a condition of a blood-groove, removes puffiness of fabrics, shows soothing properties.